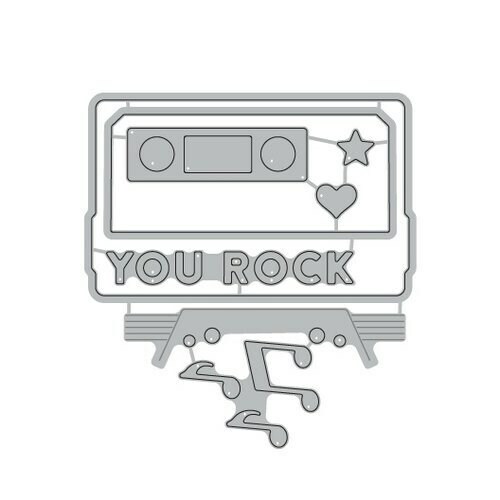 Rock out a rockin' handmade card with the Mix Tape Dies by Concord and 9th! The die set coordinates with the Mix Tape stamp set and can be used with most die cutting machines each sold separately. The package includes 8 thin metal dies that measure 3.5" x 2.125" to 2.75" x .375".